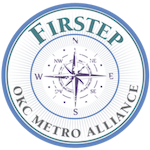 Board Activities - Firstep - OKC Metro Alliance Inc.
OKC Metro Alliance, Inc., a non-profit corporation was founded in 1973 as Oklahoma City Metro Alliance for Safer Cities, a local affiliate of the National Alliance for Safer Cities. Its purpose was to reduce crime and its impact through citizen participation in the criminal justice system. The organization and control of Oklahoma Metro Alliance is vested in a volunteer board that represent the greater Oklahoma City area. The board meetings are held at 1940 Linwood Blvd at 11:30 am to 1 pm on designated meeting dates. For more information about our board contact our corporate office and we would be glad to assist you.